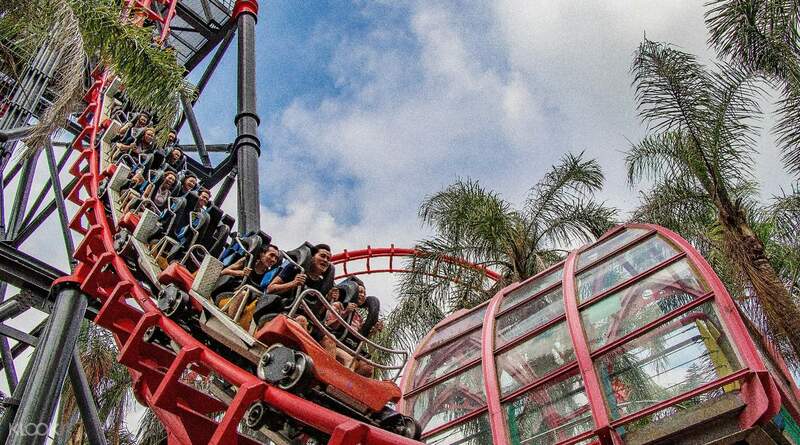 Grab your friends and the entire family and enjoy thrilling rides inside Lihpao Land! Take on an adventure to the biggest theme park in Taichung! Experience its famous parks such as Discovery World and Mala Bay Water Park. Seize the chance to cool down in the exciting water attractions of Mala Bay as it only opens during summer season. Fret no more about waiting in long lines - get to choose from open dated combo ticket packages that you can use all year round! 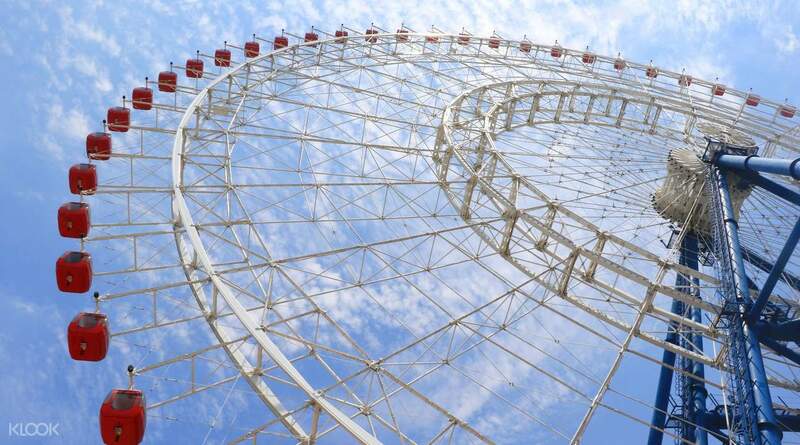 Hop on the tallest ferris wheel in Taiwan and witness breathtaking views on the Sky Dream. 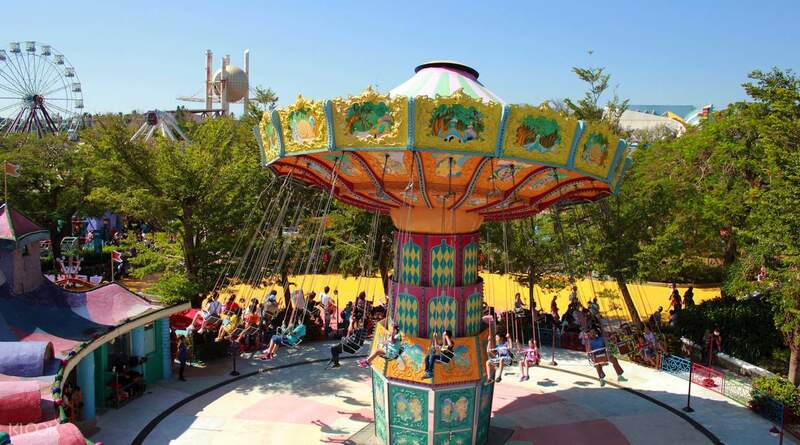 Have a fun-filled day with day passes to your favorite theme parks inside Lihpao Land! Grab your friends and the entire family and enjoy a thrilling experience! This one is a very awesome experience for me, I had the opportunity to film my Gravity Max zero ride for twice without the staff calling me out. When I was in Universal SG they are super strict. The good thing about this theme park is that there are few people visited the time I came hence this allow me to ride different rides several times without waiting so long. Because there are few people in the park you would also feel it is not as festive as other theme parks. This one is a very awesome experience for me, I had the opportunity to film my Gravity Max zero ride for twice without the staff calling me out. When I was in Universal SG they are super strict. The good thing about this theme park is that there are few people visited the time I came hence this allow me to ride different rides several times without waiting so long. Because there are few people in the park you would also feel it is not as festive as other theme parks. Even on weekends, its not that busy. That's what makes the theme park great! Not really recommended if you have children below 140cm of height as that is the minimum height for most of the attractions. Apart from it, the theme park is big and the rides is nothing thrilling or anything like that. Still a great park to visit! The Gravity Max is recommended!! Even on weekends, its not that busy. That's what makes the theme park great! Not really recommended if you have children below 140cm of height as that is the minimum height for most of the attractions. Apart from it, the theme park is big and the rides is nothing thrilling or anything like that. Still a great park to visit! The Gravity Max is recommended!! Fun theme park, not crowded at all. Adult ticket is cheaper from Klook, children and senior ticket is cheaper on site. Fun theme park, not crowded at all. Adult ticket is cheaper from Klook, children and senior ticket is cheaper on site. Worth the visit if you have a day. Rides are suitable for both children and those who enjoy an adrenaline rush. Worth the visit if you have a day. Rides are suitable for both children and those who enjoy an adrenaline rush. Have various kind of exciting games. The park is not very crowd even it is a Saturday, so we do not need to queue for too long. Have various kind of exciting games. The park is not very crowd even it is a Saturday, so we do not need to queue for too long. Easy to redeem tickets and no queue for all rides as we went on weekday. The theme park looks abit tired but kids will still enjoy the rides. Easy to redeem tickets and no queue for all rides as we went on weekday. The theme park looks abit tired but kids will still enjoy the rides. Easy to use voucher. Bring passports. Took a shuttle bus from Houli Stn to get here. Easy to use voucher. Bring passports. Took a shuttle bus from Houli Stn to get here. When I’m a Tuesday and there was not many people except for primary school students! The ticket was collected very conveniently and it was definitely cheaper to buy online. There were quite a handful of facilities there which really was worth it! When I’m a Tuesday and there was not many people except for primary school students! The ticket was collected very conveniently and it was definitely cheaper to buy online. There were quite a handful of facilities there which really was worth it!